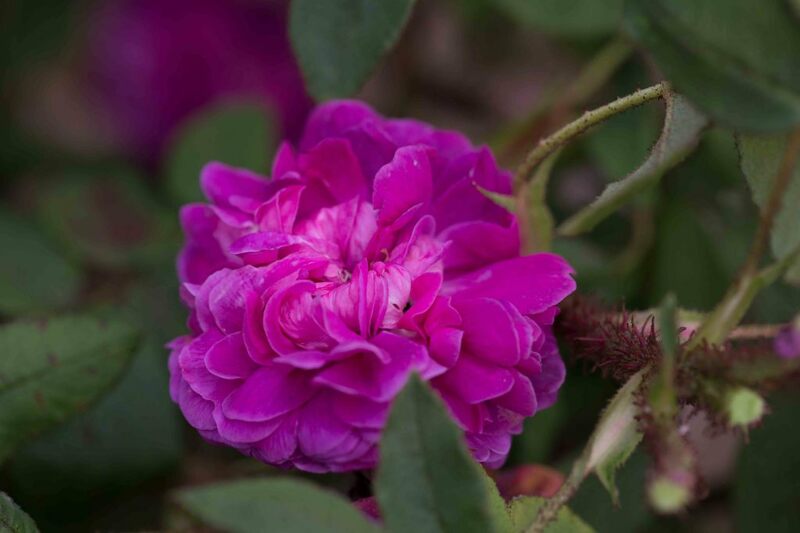 Clusters of medium sized, double blossoms of a velvety deep red that ages to crimson. A very floriferous remontant Moss. Nice mossy buds and dark green – somewhat course to the touch – foliage with finely red glands on the edges of each leave. When the flowers are fully open they show a prominent center of gold stamens. ‘Maupertuis’ flowers almost constantly from June until late in August. A very nice and vigorous shrub. Pierre-Louis Moreau de Maupertuis (1698-1759) was a French mathematician, biologist, philosopher and astronomer, who led an expedition to Lapland to measure the length of a degree along the meridian. His measurement verified the Newtonian view that the earth is an oblate spheroid (a sphere flattened at the poles). Maupertuis is often credited with having invented the principle of least action, an integral equation that determines the path followed by a physical system.